Shear Sensations carries a wide variety of health and beauty products, including shampoos, soaps, nail polishes, hair accessories, and styling products. 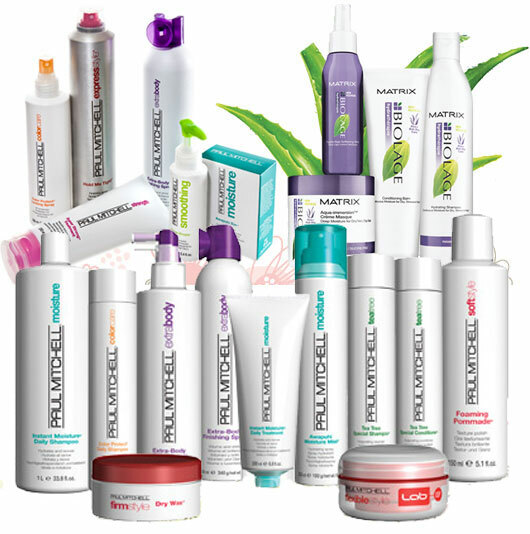 Our products represent the top names in the salon business – Paul Mitchell, Matrix Biolage and Matrix Total Results. Our stylists can help you choose the right products for your needs. Call us or drop in to see if we have your favorite salon products in stock. We can also put together gift baskets. Please call for availability.